It is not often that one gets to see two stars of the future make a mark together in one film. In Atul Sabharwal’s Aurangzeb, we are given that fortune. Intense performances by Arjun Kapoor and Prithviraj make this wonderfully tight movie even better. First Arjun Kapoor. The son of Boney Kapoor (Vishal/Ajay), he is a definite star for the future. It may have been the similarity of his role with that of Amitabh Bachchan in Don, but I couldn’t help myself from seeing the return of the angry young man to our screens. He is comfortable in front of the camera and carries the burden of being the main protagonist rests lightly on his shoulders. Even rarer is to see a South Indian actor take on a North Indian role. Prithviraj (Arya) not only plays a north Indian in the movie, it is his voice-over that tells us the story. For once a Malayali who doesn’t speak Hindi in Malayalam. Then there is his performance as the quiet, desperate-to-please young man. 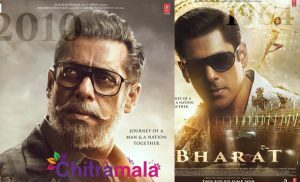 While his histrionics are well-known and appreciated in the south, it is nice to see him get a role due his talent in Bollywood. Rishi Kapoor, Jackie Shroff and Amrita Singh (yes, you read right) all play key roles in the movie. Two days before his death, Arya’s father (Anupam Kher), informs him that he has another family and he would like him to take care of them after he is gone. When Arya visits the family to inform them of the death of his father, he is stunned to see that the son is a spitting image of the son of a notorious underworld don, Yashwardhan (Jackie Shroff). In fact, it was a blotched encounter against this don that destroyed his father’s career. Instead of killing the don, he kills the don’s wife and child. An error he never recovered from. On investigation, he discovers that the woman and boy are actually the wife and child who died in the encounter. 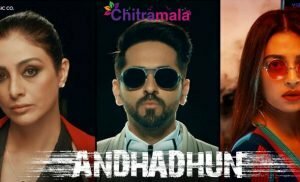 Arya (Prithviraj) then hatches a plan along with his uncle, Ravikanth (Rishi Kapoor) who is also a top cop, to send Vishal (Arjun Kapoor) undercover in the place of Ajay (Arjun Kapoor) to collect information about the gang and destroy them from the inside. This is possibly the weakest moment in the movie because not enough is shown about the operation to switch one for the other. The rest of the movie tells the story of the operation and how things finally pan out. A definite watch. Apart from a tight thriller, Aurangzeb is elevated by some very nice performances by the main actors – both young and old.